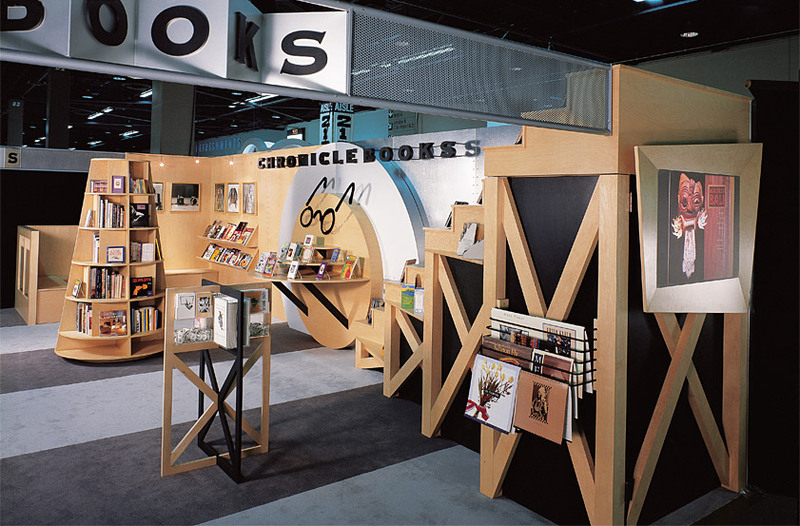 Chronicle Books is an innovative publisher of high-quality illustrated books on design, food, literature, collectibles, pop culture, and travel. 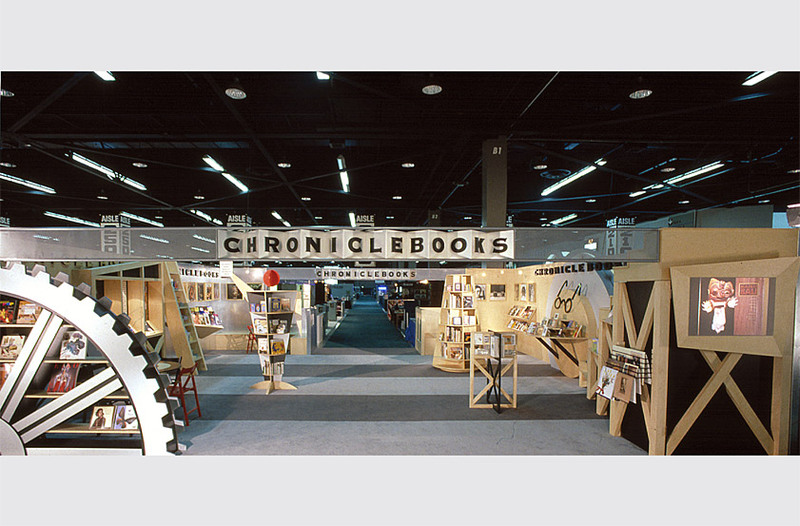 At the American Booksellers Association Show, Chronicle sought to convey they are a publisher who “sees things differently.” Our solution for the publisher’s 30' x 30' cross-aisle exhibit represented a striking departure from the typical rows of bookshelves and backlit light boxes attendees normally walk right by, instead creating a retail-like environment which invites visitors to come in, pick up the books, and linger. 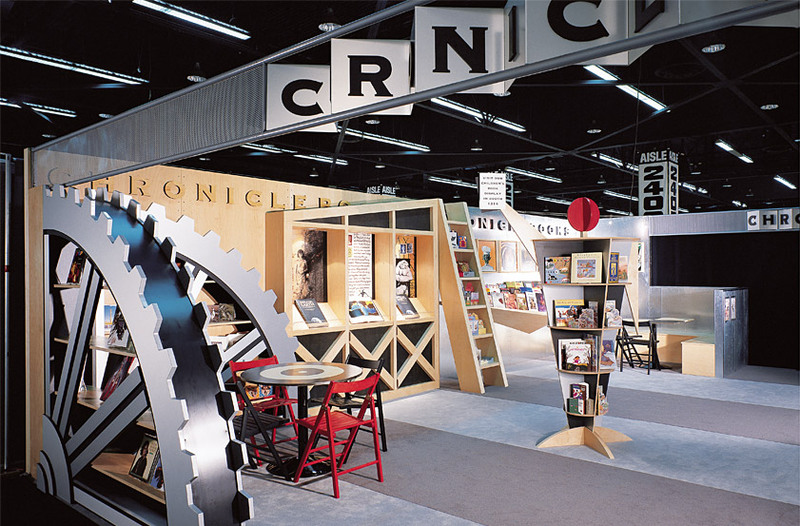 Each display represented the values Chronicle stood for, using a giant gear, ladder, staircase, and abstract figure as metaphors for work, progress, attainment, and humanity. 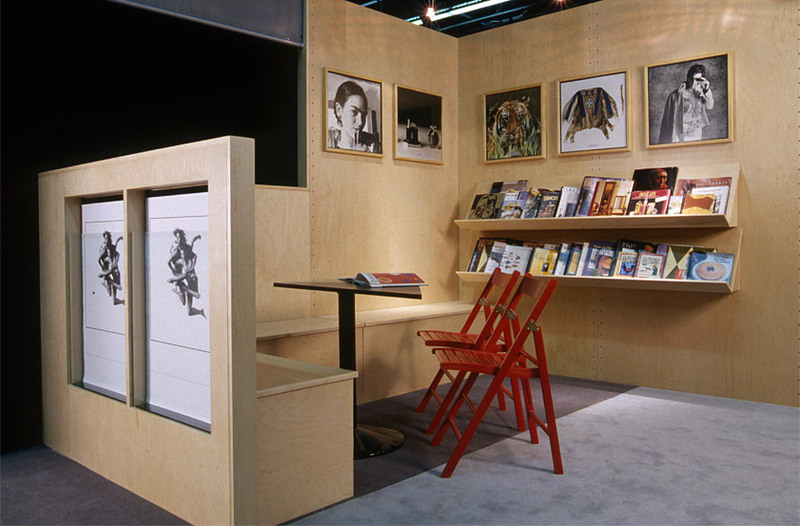 These symbolic elements combined to form a highly engaging environment for attendees, using a Constructivist aesthetic and simple, industrial materials to create a “machine” for the display of books. 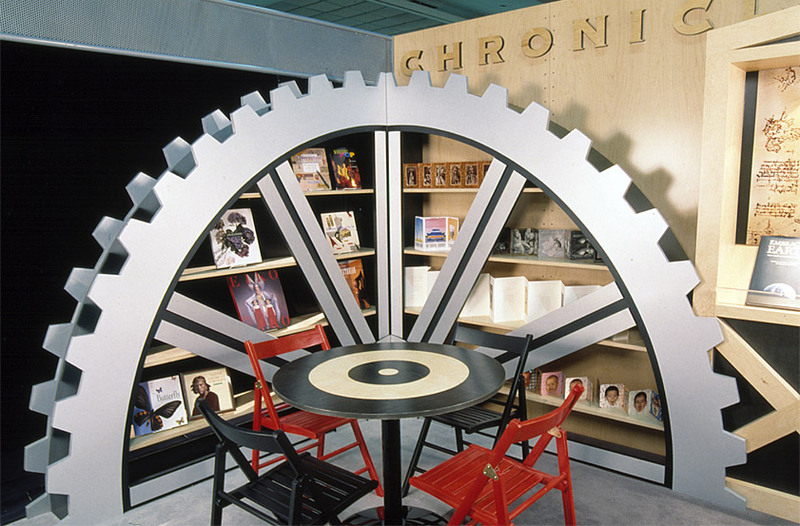 Natural maple and galvanized aluminum panels provide the ideal neutral backdrops to highlight Chronicle’s colorful collection. 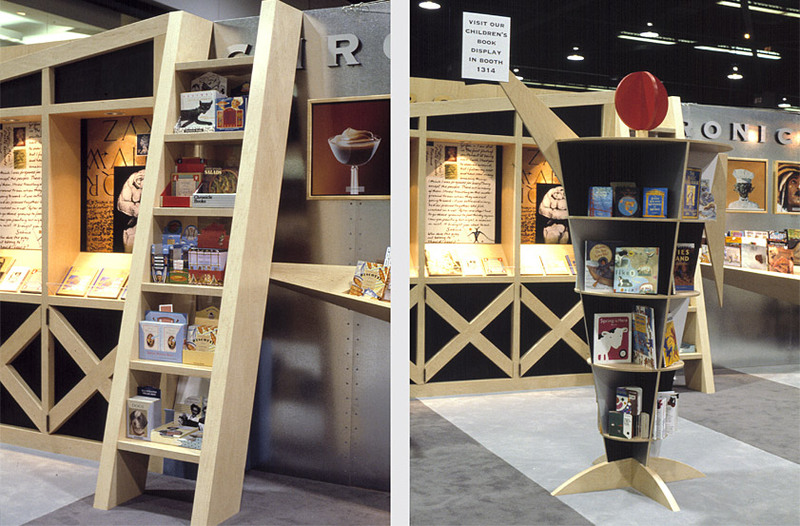 The eye-catching tradeshow became a must-see for show attendees, as the booth broke new ground in what a booksellers booth could be, and what an exhibit could convey about a company. 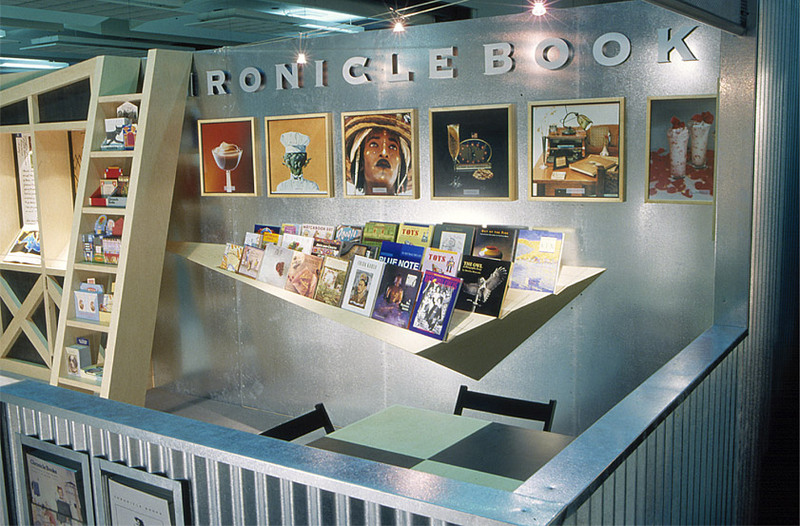 The distinctive exhibit helped the San Francisco-based publisher stand out within the New York dominated publishing industry as a firm who “sees things differently,” and was instrumental to creating a unique market niche for the specialty publisher.